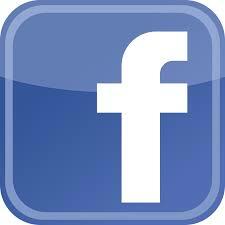 Click on this photo to take a video tour! 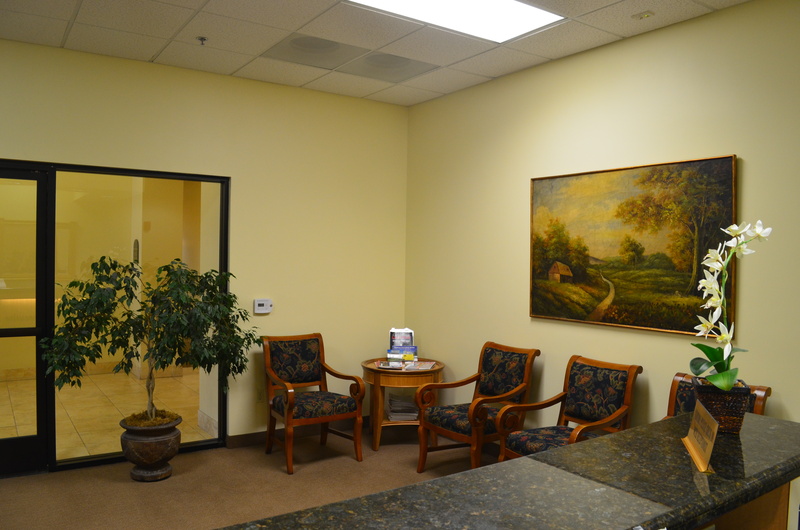 About us – Since 2005, Madison Executive Suites has been the Inland Empire’s most elegant, custom-appointed office environment for professionals and their clients. We offer several options, from our popular turn-key executive units to larger independent suites. We can meet your specific needs at competitive pricing in an ideal location. Location – Conveniently located with easy access to I-15, we have ample free parking, and 24/7 secured tenant access. Centrally located, we are just minutes from the French Valley courthouse, the Temecula business corridor and the Promenade mall. See interactive map below for directions. 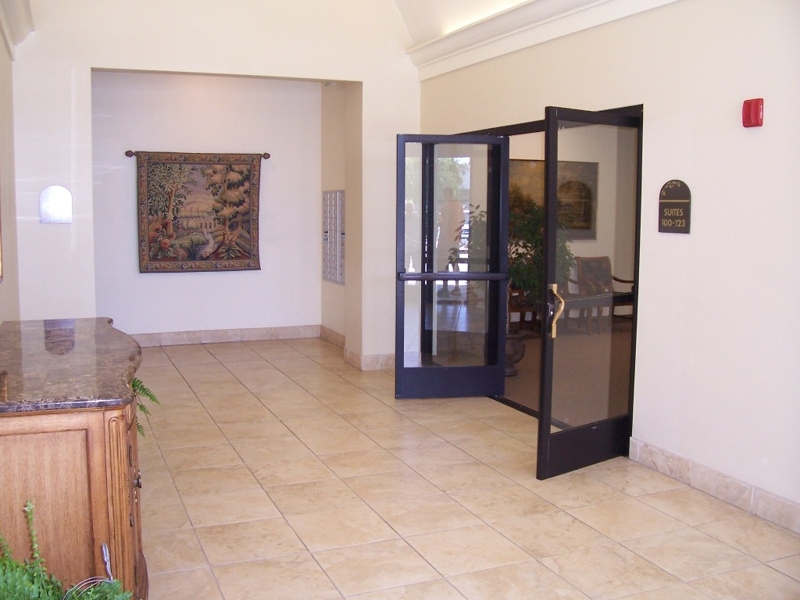 The elegant foyer welcomes visitors to the building. 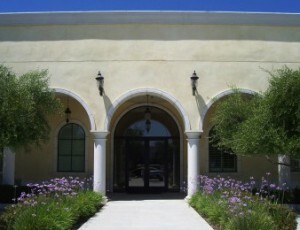 Construction – Professional Spanish style building with neutral stucco arches and upgraded accents. Neutral paint and carpet throughout. Granite slab & travertine accents in restrooms and common areas. Waiting area in the Executive Offices. Executive Offices – include experienced receptionist services, client check-in, copier, fax, wireless internet, conference rooms, USPS mailbox, full kitchen. All utilities (except for telephone service) included. Perfect for the professional working alone, or with several employees. Ideal for attorneys, insurance agents, mortgage and title, accounting professionals and similar businesses. The building features 24/7 access, in a quiet, secure workspace. Independent Suites – For businesses that need a larger space, with multiple employees but desire an upscale environment. We also offer Conference Room rental at affordable rates. Call for information, or stop in Monday through Friday between 9 and 4:30 for a tour. Madison Executive Suites strives to maintain a quiet, friendly, professional working environment. Whether yours is a seasoned business or a startup, you’ll find the right fit from the many choices we offer. Discover what our satisfied tenants already know, that Madison Executive Suites will allow you to spend more of your valuable time operating your business while we take care of running the building. You, your employees and your clients deserve to experience the elegance and professional environment unparalleled in the Inland Empire. This entry was posted in office rental on October 10, 2013 by admin.